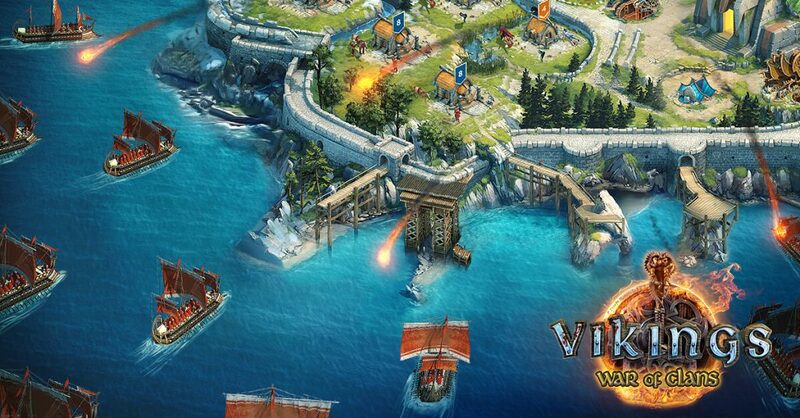 Vikings: War of Clans is an epic MMO RTS browser game for players who are looking for a deep, serious, and competitive strategy experience. As the Jarl of your Town, you must be loyal to your warriors and the lands under your influence. It’s your duty to develop and master your own different strategies for times of war, rely on diplomatic solutions in times of peace, and do whatever it takes to ensure the prosperity of your army and Town. You can’t count on brute force and sheer numbers to being down your enemies. Other Jarls will quickly learn to anticipate your mindless attacks and repel them with ease. If you want to make your enemies fear your every move, you will need to devise your own unique battle strategies. Strategy doesn’t exist solely on the battlefield. You’ll find yourself in plenty of situations where attacking an enemy is not the best move you can make; situations where diplomacy or a trade treaty can benefit both sides. Match your strategy to the long-term vision you have of your Town. You can focus on resource production and become a trading pro, or be a ruthless conqueror – how you play and how you rule is completely up to you. To make sure you always possess the best means to crash your enemies, you need to acquire the Knowledge of gods. Knowledge gives you substantial bonuses that are priceless when it comes to fighting hostile Jarls in the world where no ally can be fully trusted. Your warriors will fight harder, your resource production will increase, and you can even recruit new types of powerful units. Keep acquiring more and more Knowledge, and you will soon become a force to be reckoned with. But even the bravest Jarl cannot take on the entire North alone. To fully unlock your Viking potential, you will need to join or start your own Clan. Vikings: War of Clans in an MMO, after all, and a major part of that is playing with other Jarls. Contribute to the Clan’s efforts, help to coordinate joint attacks against rival Clans, or just chat away the day with your clansmen, and you’ll be making friends and powerful allies in no time! Visit the War Block and participate in Onslaughts to strengthen your connection with your Clan. As a member of a Clan, you will always have someone to come to your aid in times of crisis. Members of the same Clan can share resources, warriors and attack hostile Jarls together. Only Clans are strong enough to attack and capture the Place of Power – heavily fortified location on the Global Map that hold great wealth and power. Controlling the Place of Power is the key to gaining more influence over the Northern lands in Vikings: War of Clans. Now that you carry the ancient Knowledge of the Vikings, you are ready to become a true Jarl and seek your fortune in the North.